First of 2 nights in Hong Kong. Madonna was in a very chatty mood compared to the following night and the night I saw her in Macau (3 days later). She spoke some Cantonese Chinese, discussed a f**kin monkey and swore a lot. Came on about an hour late and the show finished way past midnight meaning those who got back into town were faced with a closed subway. 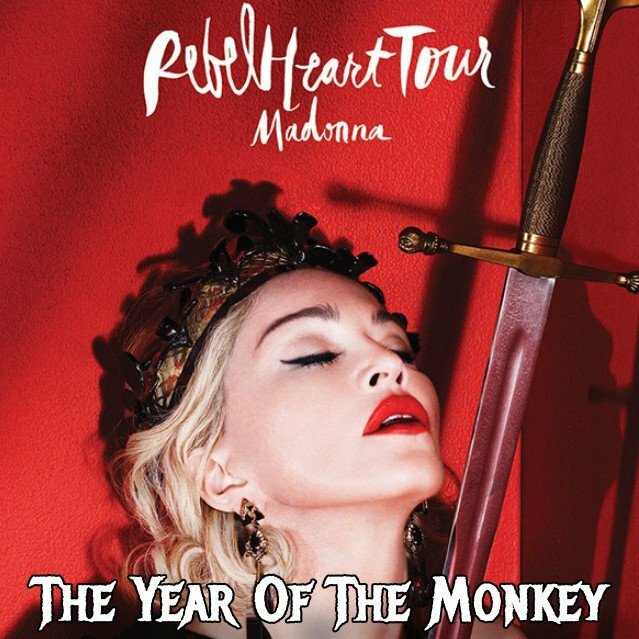 The Year of the Monkey 0 out of 5 based on 0 ratings. 0 user reviews.